For National Ice Cream Day 7/16/17- Pink Berry Nice Cream Recipe! National Ice Cream Day is observed each year on the 3rd Sunday in July and is a part of National Ice Cream Month. Having it fall on a Sunday is perfect since that is the day most families are together too! You can join the celebration by enjoying a bowl, cup or cone filled with your favorite flavor of ice cream. My family LOVES ICE CREAM, so you know we will be celebrating. This year though I’m going to change up something…I’m going to make my own. Now I don’t have an ice cream maker but that is OKAY the recipe below doesn’t call for one. No Ice Cream Machine Required! With only three ingredients, this is the perfect way to celebrate in both a healthy and delicious way. 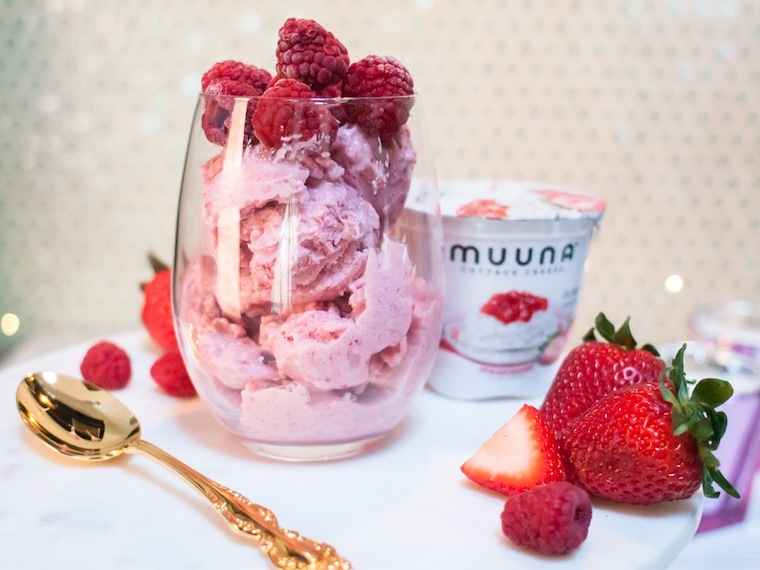 By blending 2 frozen bananas, ½ cup of raspberries and strawberries with 1 single serving of Muuna strawberry cottage cheese in a food processor you can create a dessert that has all the creaminess of ice cream! This delightful “Nice Cream” recipe made with Muuna cottage cheese is a healthy way to celebrate the day while still feeling the creamy deliciousness of regular ice cream. By using Muuna cottage Cheese as an essential ingredient, it will make your National Ice Cream Day healthier, high in protein, low in sugar, and most importantly, tasty. 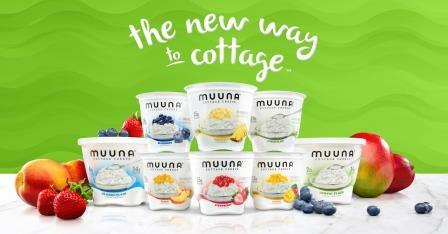 Muuna® is on a mission to change the way consumers think about cottage cheese. With its proprietary recipe and unique, perfectly portioned cups, Muuna is re-imagining cottage cheese. Delivering a melt-in-your-mouth creamy texture, Muuna is bringing excitement to the cottage cheese category with rich-in-protein, single-serve cups available in smooth Lowfat Plain and with delicious pieces of fruit on the bottom, including Strawberry, Blueberry, Pineapple, Peach, and Mango. Muuna also offers multi-serve containers of Lowfat Plain and Classic Plain. Recipes can be found HERE and for more information, visit www.muuna.com or join the conversation on Facebook, Twitter, and Instagram. If posting pictures make sure to use the hashtag #NationalIceCreamDay and if you use this recipe let Muuna know by tagging them @muunacottage on Twitter!